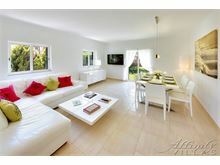 Villa Rosa is a spacious and contemporary villa with plenty of features that many clients will enjoy. 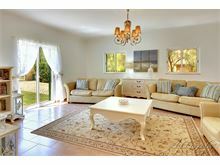 The outside living area is a particular feature with comfortable sofa seating, a dining table seating eight, a built-in barbecue with outdoor fridge and sink, all overlooking the pool and beautiful countryside. There is also a putting green, a table tennis table and table football - perfect for sports enthusiasts or just for a bit of fun! Please note the basketball net has been removed. 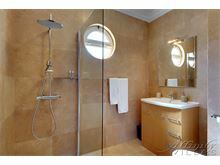 The interior has been thoughtfully designed to provide a calm and relaxing environment. The open plan living area is the perfect place for everyone to congregate and relax, particularly as it has direct access to the pool and barbecue terraces, to enable everyone to spend quality time together on holiday. Please note that the pool has been altered and does not have an infinity edge. 5kms to the town of Loule that is popular with tourists for its vibrant weekly market, Almancil and Vilamoura. 6kms to the nearest beach. From the main entrance hall, turn left into the main living room with flat screen television, 2 sets of French windows, wood burning fire. 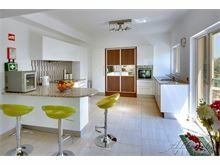 From the hallway, turn right into the open plan sitting room, kitchen and dining area. 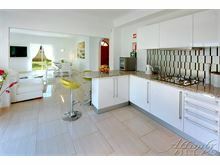 The modern kitchen is equipped with breakfast bar, dishwasher, washing machine, microwave, gas hob, fridge/freezer and wine chiller with access to the pool terrace from the kitchen door. 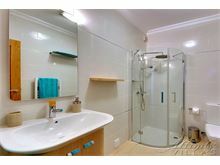 The corridor leads to 2 bedrooms, the first is a twin bedroom, followed by a double bedroom with en suite shower room. 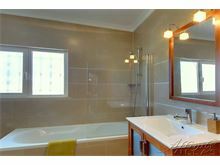 There is also an additional shower room which doubles as a guest cloakroom. 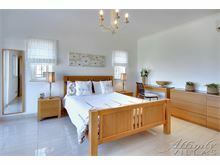 Further down the corridor is a further twin bedroom with French windows and en suite bathroom. At the top of the beautiful marble staircase, you reach the master bedroom with large double bed, French windows leading onto a large terrace furnished with a table and chairs, the perfect position to take in the countryside views around the villa, and overlooking the swimming pool. 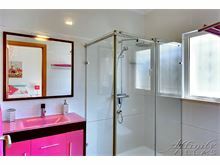 En suite shower room.Maid service 2 times per week. Air conditioning and WiFi are available at extra charge, if required. 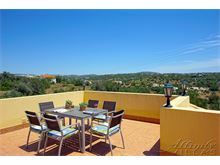 Beautiful and quiet location and close enough to Loule and Vilamoura for evenings out. Good location for golfers looking to play the abundance of excellent courses in the area, although car/minibus is essential. 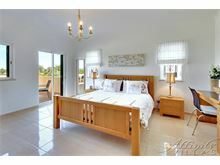 Only about a ten minute drive to any of the above and plenty of supermarket options nearby. I would highly recommend for a family or golf party. Well organised by Affinity once again. 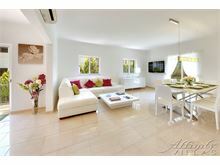 An away from the bustle location paired with a great villa. The garden & pool have the sun all day long with enough shade over the bbq for evening, enough space for 2 families not to drive each other crazy. Lovely villa. Very clean and excellent facilities. The outside area is especially pleasant. 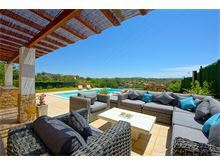 Stunning villa in lovely rural location close to Loule. Every bedroom has it's own bathroom and the whole villa was spotlessly clean and cleaned twice in the week we were there. 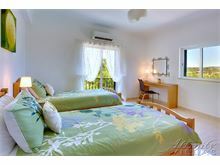 There were 4 of us, but this villa easily accommodates 8. 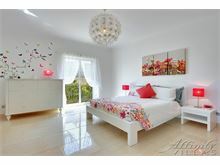 Villa Rosa is very beautiful and everything you could want has been thought of. The decor and furnishings are contemporary and comfortable with plenty of space for 8 adults to relax although there were only 6 of us. Outside the pool is stunning with views across the valley. It's the biggest pool we've ever had in a rental property! There is plenty of room to relax in sun or shade and the bonus was the small putting green! Truly a lovely property that gave us a very relaxing holiday. 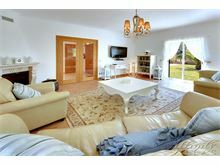 Lovely spacious well equipped villa with fabulous outside pool and seating/dining area. Hire car essential as it is in a quite remote area with no facilities nearby, but only a ten minute drive to supermarket and restaurants. The villa itself is exceptionally well equipped. 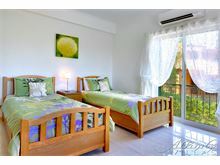 Beds were super comfy, sunbeds too and there is a wonderful outdoor sofa area and BBQ which make the villa. 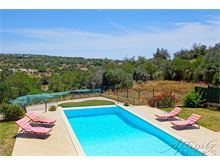 The villa is 5km approx from Loule so car is necessary. Lovely town and restaurants nearby and overall we had a great stay.